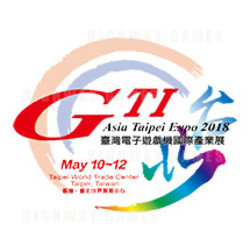 GTI Asia Taipei Expo is a yearly export-oriented trade fair targeting at recruiting international industry peers to make purchases and establish partnerships. Every year, the show attracts a good deal of potential buyers to meet face-to-face with celebrated manufacturers and suppliers as well as provides an optimal platform for healthy and constructive competition in research & development among industry members. The trade show has now been recognized as one of the leading events in the global electronic gaming/amusement industry. Numerous Taiwan-made quality products on display have sparkled this international show and helped the suppliers increase their revenue. Moreover, since the show's initial year in 1993, overseas exhibitors from Australia, China, Hong Kong, Italy, Japan, Korea, Macau, Malaysia, the Philippines, Thailand, the UK and the US through these years have greatly contributed to the crowning of the show as an must-attend & one-stop one in Taiwan and Asia. GTI Asia Taipei Expo is going to celebrate its 24th anniversary and will once again amaze the world with the original MIT products from whole machines to single parts, hardware to software, and novelties to classics. Your visits to the show from May 10-12, 2018 at A Zones, Hall 1 of the Taipei World Trade Center (TWTC) in Taipei City, Taiwan are cordially welcomed. Let's unite and push the electronic gaming/amusement industry forward and jointly welcome a better future together!